Bullshead Trading provides technical analysis of the financial markets. We focus on ETFs and equities in the Legal Cannabis and Medicinal Marijuana industries. These Seven Stocks pay the Largest Dividends of all the stocks that trade on NASDAQ. Or do they? Many investors like to invest in companies that pay high dividends. And that makes sense because there are many advantages including a steady stream of income and the ability to have the dividends reinvested into the stocks. According to NASDAQ.com, these seven companies are currently paying the highest dividends of all the stocks that trade on the NASDAQ. At first glance they all seem extremely high to me, and we all know that there is no such thing as a free lunch on Wall Street, so I decided to take a look at each one to see if I could figure out what is going on. 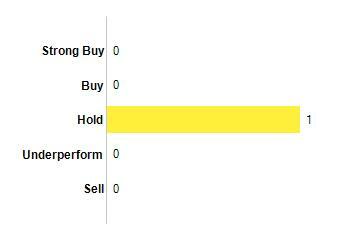 At the top of the list is the Credit Suisse AG Credit Suisse X-Links Crude Oil Shares Covered Call ETN (USOI). (Say that three times fast!) This ETN provides the return of a front-month oil ETF, USO, coupled short positions in USO calls expiring in the next month with strike prices 6% out of the money. The strategy adds yield and lowers volatility compared to owning USO outright, but at the cost of upside participation. But something here doesn’t make sense. You can see on the chart below that the yield is actually 13.35%. This is the same number that Yahoo Finance has. CNBC.com says the dividend is 16.5%. So, what is going on here? Why the discrepancy? Well, this ETN pays a dividend every month. The January dividend was $.53. If they paid that every month then the annual dividend would in fact be 29%. However, the amount of the dividend varies by month. For example, last March it was only $.04 and this would equate to an annual dividend of just over 2%. The January dividend is probably an anomaly and NASDAQ didn’t take that into consideration when they calculated the numbers. So this ETN clearly isn’t as attractive of an investment as its top place on the list would suggest. Why is there a discrepancy? What the heck is going on here? In the first three quarters the dividend was $,22, so if the fourth quarter dividend was $.22 as well then the annual dividend would in fact be $.88. However, in the fourth quarter the dividend was $3.72. They pay a large dividend every fourth quarter. The stock price is marked down by this amount. The NASDAQ calculation assumes that they pay $3.72 every quarter so once again their numbers are misleading. AMSF does not pay a 24% annual dividend. Number six is Martin Midstream Partners LP (MMLP). 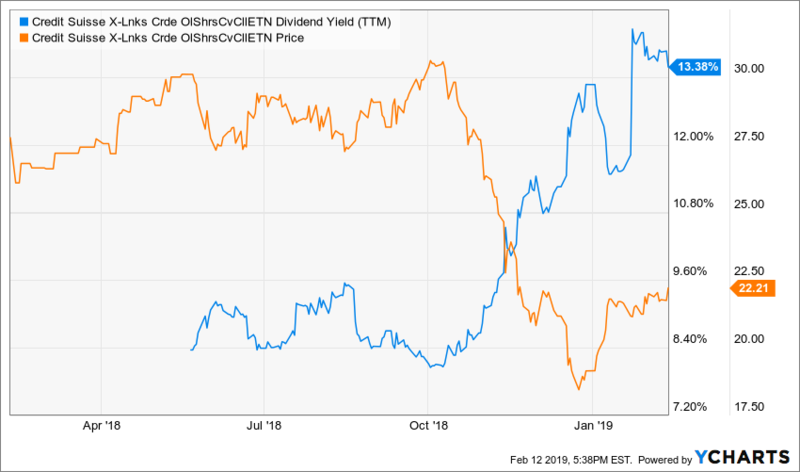 It has an annual dividend of $2 which is a yield of 16% The company engages in the diverse set of operations focused primarily in the United States Gulf Coast region. It operates through the following segments: Terminalling and Storage, Natural Gas Services, Sulfur Services, and Marine Transportation. Last on the list is Oxford Lane Capital Corp (OXLC). 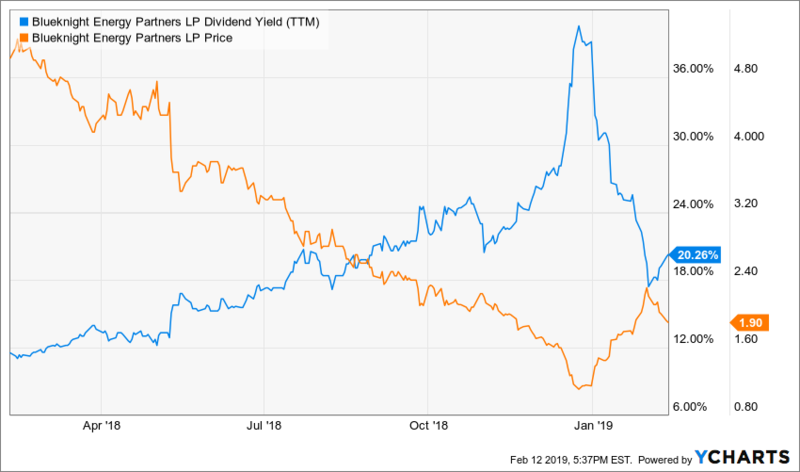 It pays an annual dividend $1.62 and this gives it a yield of 15.7%. It is a closed-end management investment company, which engages in maximizing total return by investing in securitization vehicles which, in turn, invest in senior secured loans made to companies whose debt is rated below investment grade or is unrated. We all know that the legal Cannabis markets are booming and becoming increasingly popular as marijuana gains social acceptance. I see all types of advertisements touting analyst’s picks for stocks that have doubled or tripled in a short period of time. But you need to be careful and treat these ads with a grain of salt because some of this analysis can be very misleading. There can be statements that are technically true but very misleading and even deceitful. For example, if a stock goes from $.02 to $.04 then technically is has gone up by 100%. However, this is not the same as a stock going from say $2 to $4 or $20 to $40. Consider the following. When someone buys or sells a stock ‘at market’, they will receive the best price that currently exists in the market. If they are selling they will get the highest price that anyone in the market is willing to pay and if they are buying they will get the lowest price that anyone is willing to sell at. Suppose a stock is bid at $.02 and offered at $.04. This means that the most anyone will pay for the stock is $.02, and the lowest anyone will sell it for is $.04. Now say someone sells 100 shares at the market and hits the bid, so now the last trade is $.02. Now suppose one minute later someone else buys 100 shares at the market and they pay the offer price. Now the last trade is $.04, which is +100% from the prior trade. Now the stock has apparently doubled, but in reality is hasn’t moved! And if you paid .04 for your investment, you literally need to wait for the stock to double and the bid to become .04 just to break-even! There are many opportunities for profitable long-term investments in the Legal Cannabis and Medicinal Marijuana Industries. There are now hundreds of publicly traded companies. The question is how do you know what is a 'real' company, verses a 'not real' company, and is it possible to actually profit by trading or investing in them? Just remember that if it seems too good to be true then it probably is. Here are five examples of seemingly legitimate companies whose stock prices would suggest otherwise. I’m not saying that you cant make money with them…I suppose it is possible. But it’s also possible space aliens will invade tomorrow and enslave us and ship us off to work in some dilithium crystal mines on the other side of the galaxy, but I wouldn’t bet on it…just like I wouldn't bet on these stocks. The first one is Rocky Mountain High Brands…symbol RMHB. They are “a publicly-traded, lifestyle brand management company that markets “good for you” products to health-conscious consumers. (They) leverage consumer trends and marketing insights for emerging product categories to create meaningful brand experiences.” They seem to be a ‘real’ company. They have a nice website and people apparently actually work there. But take a look at the stock. The closing price was .0096. That is less than one cent. On the chart below the highest price displayed on the X axis of the price scale is .019…just under two cents. If you aren't aware of the scale this chart can be very misleading. If it goes from .009 to .018 is that really a double? Is it the same as a stock going from $9 to $18 or $90 to $180? Absolutely not. Commissions, liquidity constraints, and transaction costs will keep this from happening. The stock is not trade-able. This next gem is called Ubiquitech Software…symbol UBQU. The company considers itself a “multimedia, multi-faceted corporation focused on utilizing state of the art global internet marketing and traditional marketing to drive traffic to multibillion-dollar industries”. In addition, the company has interests and operations in the Hemp industry whereby it has developed multiple and proprietary CannazALL CBD oil products. Ubiquitech Software Corp might as well have found a way to reinvigorate its ailing prospects having taken a significant hit. The company is in the process of changing its name and has also decided to forego its cryptocurrency ambitions all in the effort of focusing on the hemp business. HempLife Today is the proposed name change that the company believes reaffirm long-term ambitions and plans. The restructuring drive appears to have caught investors’ attention given the increased trading activity around the stock in recent trading sessions. While the stock is still languishing at all-time lows having lost more than 80% in market value, a high turnover in traded shares could as well signal a change in the direction of trade. The stock has started showing signs of bottoming out having spiked by more than 60% in recent trading sessions. After the recent spike higher, the stock faces immediate resistance at the $0.006 level on further movements on the upward. A rally followed by a close above the critical resistance level should reaffirm the emerging uptrend, setting the stage for the stock to continue climbing high. Below the $0.006 resistance level, the stock remains susceptible to further declines given the underlying bear trend and the fact that short sellers are still in firm control. You have got to be kidding me. Resistance at six-one thousandths of a share? Short sellers in control? Apparently whoever wrote this drivel doesn’t realize that in order to short a stock it needs to be marginable and penny stocks are not marginable - so there are no short sellers in this market. Again, this stock is not tradeable and this analysis is completely invalid. The last trade was at .0084. If it ‘rallies’ to .016 is it really a double??? On paper ‘yes’. In real life could you actually make this trade with a meaningful amount of money? No. Notice the recent ‘rally’ The stock doubled in just a few days. It went from .0035 to .007! If you were to invest $10,000 and were actually able to buy it at .0035 you would have almost three million shares! Would it be possible to buy all three million shares at .0035? Extremely improbable and probably impossible. And last but certainly not least we have GRCU…Green Cures & Botanical Distribution Inc. Green Cures & Botanical Distribution Inc. is revenue-generating company that wholesales and retails hemp-infused nutritional, botanical, sports, and body care products. The company is currently Web-based and focuses on online retailing. Green Cures & Botanical Distribution Inc., operates a diverse portfolio of products and services within the botanical and cannabis industry, as permitted by law. From concept to production and distribution, Green Cures & Botanical Distribution Inc., is continuously creating and introducing products that promote a healthy life style. The stock closed at .0053. If you wanted to invest $20,000 in it and were actually able to buy it you would be long 3,800,000 shares. That is more than 30% of the average daily volume. It would not be possible to trade that many shares without affecting the price. So…as we can see, there are a lot of companies in this sector that may appear profitable on paper, but in reality it is impossible to make a profit by trading them. You need to be careful and treat claims and analysis with a grain of salt. Just because a stock is trading at a particular price it doesn't mean that you can actually buy or sell it at that price. If a stock is bid $10 per share but there is only 100 shares at that bid, it means you can only sell 100 shares at that price. If you need to sell 1,000 shares then you will receive a price that is less than $10 for the remaining 900 shares. But don’t let me scare you away. There are numerous opportunities in the Legal Cannabis, Medicinal Marijuana, and ancillary industries that are probably going to be very profitable. Here are some ‘real’ companies that some investors have actually made real money off of. My guess is that long-term, as this industry grows, these companies will continue to do well. The first is an ETF…the Horizons Marijuana Life Sciences Index ETF…symbol HMLSF. It is a basket of Cannabis and Medicinal Marijuana equities. It is trading around $15.50. It is up over 50% in less than two months. Those are actually profits and not just paper profits. Innovative Industrial Properties, Inc,. symbol IIPR, is a pioneering real estate investment trust for the medical-use cannabis industry. Founded in December 2016, it is the first publicly traded company on the New York Stock Exchange to provide real estate capital to the medical-use cannabis industry. The stock has more than doubled since August. It is a real company and those are real profits. Cronos Group Inc., symbol CRON, is a geographically diversified and vertically integrated cannabis group that operates within Health Canada’s Access to Cannabis for Medical Purposes Regulations and distributes globally. The stock price has tripled in less than two months. So to summarize, when you see these adds that claim miraculous returns be skeptical. If it seems too good to be true than it probably is. If you are considering making an investment in this industry, the following are some questions that you should ask yourself about a company or a stock before you get the checkbook out. You may save yourself a lot of money. What is the price and volume of the stock? What is the market cap? Is it possible to actually take a meaningful position? Do they have any earnings? Do the have financial statements? Is their an investor relations person and if so how long have they been there? If not are there plans to hire one? Are there any institutional holders of the stock? Are legitimate brokers trading the stock? Are institutions buying the stock? Do they have a nice up to date Website and LNKD page? Where are the offices located? Are they at someone's house or is it in an office complex? How many people work there? What are their ages and how much experience do they have? How old is it? Are there legitimate research reports available? Is there sell-side coverage? Are there news releases from third party sources? For example, Army Ant Colonies in the Brazilian Rain Forest somehow know that they need to move before the floods come and they successfully take journeys of miles. I highly doubt that the Queen Ant is sending out emails or Tweets telling the Colony what to do. Somehow the Queen understands that it is time to move and as far as we know, She communicates with the Ants that are immediately next to her and they communicate with the Ants that are immediately next to them and so on and so and so on. And yet somehow the Colony as an aggregate Group behaves like an individual and knows that it is time to move and it (or they) know just exactly what to do and when to do it. The important thing to understand is that the individual Bees or Ants have what could be understood as two motivations when they pretty much do anything or take any action. On the one hand the individuals think they are acting upon their own wishes and desires and motivations and they are. But not only are they thinking and acting for themselves. They are also responding to the stimuli and influences that they receive because they have a relationship with and are a member of a crowd or a group. This external stimuli influences their decisions even though they may not be consciously aware of it. A crowd is larger than the sum of its parts and each individual’s behavior is altered when they become a member of a crowd. You may not know it but this behavior also occurs in humans as well. We may think that we are thinking for ourselves and that we are independent. But in fact we are thinking for ourselves but at the same time we are also thinking for the group as well...just like a bee or an ant does. We are not islands. Thoughts and actions are not absolute or isolated...they are in fact a response to external stimuli and need to be considered as a reactionary dynamic. Psychologists used to think that our decisions were basically mechanical and individualistic but now they realize that most of the time we are making decisions because we are also responding to eternal stimuli and our decisions are essentially a result of our relationship with our environment. We need to understand that our actions thoughts are kind of a two-way street. You may think that your thoughts are your own but they are influenced heavily and maybe even determined by relations to the environment. Why does this happen? Because we as human beings are animals and the part of our brains that cause us to have rational thought has only recently evolved. The part that makes us animalistic has been there much longer. Back in the old days, and those old days consist of hundreds of thousands if not millions of years, the Flight or Fright response worked. If you were scared because you were about to become the afternoon snack of a Saber Tooth Tiger, adrenalin was a good thing. Your instincts would kick in and you singular focus would be to fight or or flight and get out. But when you are scared in the markets its a bad thing. We can lose control because our instincts can become more powerful than our ability to be self-aware. The markets have only existed for a few centuries which is just a blink in time compared to how long our animal instincts have been developing. Instinct wants to make you run with the pack because this reduces your chance of being the prey. But if you can remember that the market isn't a Saber Tooth Tiger and you can use logic to make decisions when the rest of the herd is fleeing you can find successful trades. The proof of this everywhere. I used to witness strange behavior every day in our fellow humans at Grand Central Station when I worked in NYC. Every day you see people crowding into the first car of the train. As more passengers walk by and see this they too crowd into the first car until all of the seats are full. People get angry and complain to the Conductor because they can't find a seat. But if they only went around this crowd and headed towards the front of the train they would realize that the cars in the front are empty. There are literally dozens of empty seats and everyone can sit comfortably. This is a prime example of group or herd behavior in action that you can literally witness every day. We have individualistic motivations but we also have group, crowd, or herd motivations as well and sometimes they are even more powerful. What happens when we become a member of a crowd? Instincts, emotions and biological drives cause people to act differently as members of the crowd than they do as individuals. We need to understand that when this happens sometimes we lose our ability to reason and think logically because it causes the suppression of self-awareness and emotions to overcome reason. In the market participants are members of a crowd because they have a common objective and that is to make profits. When you enter a position you become a member of this crowd. This dynamic ensures that by definition stock market behavior is a crowd phenomenon. People tend to identify themselves with their positions and this is a dynamic that drives bubbles or crashes. In a bubble people are members of the crowd who have made profit so they can all relate to the same stimuli. It's the same thing with crashes and fear – at least if you are wrong you did what everyone else did so you don’t have to feel stupid. The leader of this crowd is literally the market itself...as personified by the numerical levels of stock indices or stocks as reported on the news. If you realize and have a self-awareness that you are a member of the herd, it will be much easier to separate yourself from it and utilize logic instead of emotions to make decisions. And not only will this benefit your trading and investing, it will benefit other areas of your life as well. If you want to be a successful trader it is imperative that you understand the concept of a trend and how to correctly utilize trendlines. In all liquid markets prices move in trends, regardless of whether we're talking about stocks, commodities, real estate, or even the price of milk. Prices are always doing one of three things. They are either going up, going down, or staying they same. In uptrends, the forces of demand are in control and the buyers overpower the sellers. In downtrends, the forces of supply are in control and the sellers overpower the buyers. When prices are staying the same the forces of supply and demand are equal. All of these dynamics can be illustrated with properly drawn trendlines. There is nothing mysterious about trendlines It's really just logic and common sense. If used correctly, trendlines should simply be graphical representations of the supply and demand dynamics that are occurring in markets. It makes me laugh when people say that technical analysis is voodoo. I suppose they say this because most of the technicians that I see in the media are not very good, and some other aspects of so-called technical analysis are downright ludicrous. But prices do in fact move in trends, regardless of what market we are talking about, and if you can identify them it will benefit your trading and investing because it will help you understand when it is the most optimal time to buy or sell. For an example of a trend, if the price of milk goes from $3 to $4 dollars over the period of a few weeks, which price sequence do you think is more likely to occur? $3.00, 3.10, 3.40, 3.60, 3.80, then 4.00...or $3.00, 4.80, 2.10, 1.75, 3,10, 3.70, 3.20 and then 4.00? In normal markets clearly it is the first one. So right at your local grocery store there is proof that prices move in trends, and if you can recognize them it can lead to much lower risk trades than getting ideas from some moron in a chat room or on CNBC. Drawing trendlines is an art and not a science. The tricky thing is understanding that there are trends within trends, and they are fractal in nature. That means that there are trends within trends and trends within those trends and so on. There are trends that last for decades or even longer and there are trends that last for minutes, hours, days, weeks, months and years. The trendlines that illustrate them are neither magical nor mysterious and they should simply be viewed as what they are…a simple visual picture of the supply and demand dynamics that are occuring. If drawn correctly, a trendline break will show a change in the supply and demand dynamics that are occurring in a market. For example, in an uptrend the forces of demand are in control. When the uptrend line breaks, this shows that the forces of supply have overpowered, or at least become equalized with the forces of demand. During a downtrend, the forces of supply are in control. When the downtrend line breaks, it means that the forces of demand are overpowering or at least becoming equal to the forces of supply. Let's take a look at this chart of GS...Goldmine Sachs... from March through the end of June of 2018. You can clearly see here how trends are fractal in nature. We can see that in the longer period of time, from March through June, the aggregate forces of supply were in control and they have driven the stock lower. This is illustrated by the long blue arrow. We can also see that within this longer trend, there are multiple shorter-term trends. You can see that in the two week periods in the beginning of March, April, May and again in June the demand side was in control of the market and this drove the stock higher. This is shown by the red arrows. In the last two weeks of those months the supply side was in control and they drove the stock lower. This is illustrated by the black arrows. We can also see that the four trend breaks, which are illustrated with green circles, are the times when the forces of supply became equal to and then overpowered the forces of demand. Utilizing trendlines is a good way to help take the emotion out of your trading, which is what you should be trying to do. If you are interested in buying something that has been going down for awhile and you can draw a clear downtrend line, wait until it breaks before you buy it. You wont get it at the exact bottom, but the risk reward dynamics will be much better than just trying to guess where the bottom is...which is exactly what you are doing if you don't have a clear understanding of this. Of course, the opposite is true if you are making a sale. If you happen to have the unfortunate experience of running into an academic or someone who actually believes in Efficient Market Theory at a cocktail party anytime soon, you can stump them with this question. Ask them why markets trend lower faster than they trend higher? If markets were truly efficient they would move at the same speed in either direction. The reason why this occurs is because when markets are rising, they are rising on hope. When they are going down they are selling off on fear. Fear is a more powerful emotion than hope and this causes people to be much more aggressive when they sell than when they buy.